To be fair, Johns has a pretty good set of excuses for the long delay of this Batman: Earth One follow up. Aside from all of his usual comics writing, the guy is also assigned to provide the comics world voice in the room for all of DC’s film, television, and video game spin-offs. He’s a busy man and thankfully Batman Earth One: Volume 2 was worth the wait. Though still a book primarily dedicated to world building, the story is no longer weighed done by trudging through all of the Year One motions. Batman is up and running now. The city knows he exists. 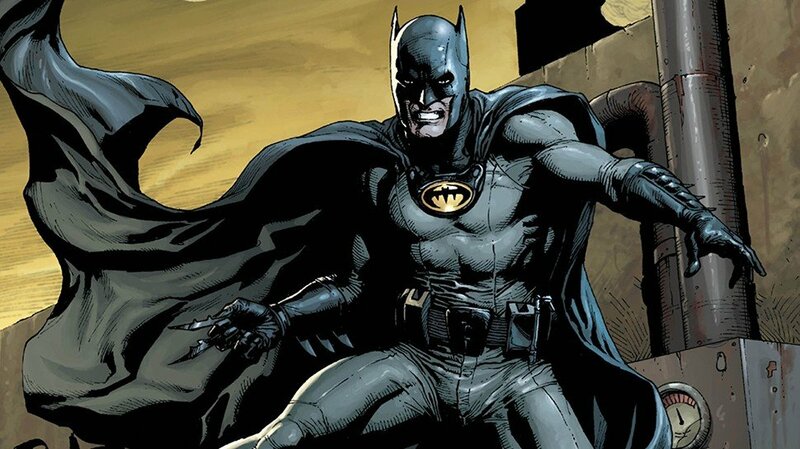 The question now is, “Who Is Batman?” and it’s one that virtually every character in the book is asking. 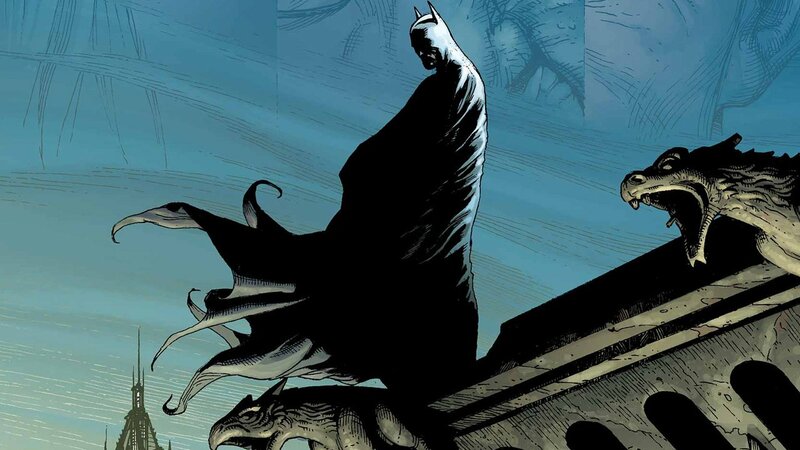 For Bruce/Alfred, a decision needs to be made as to what exactly the Dark Knight vigilante they created will represent. The formerly corrupt Gordon (like I said, it’s a different take on the material) and his freshly alcoholic partner Bullock need to decide if they can trust the shadowy character. New mayor Jessica Dent and her twin brother/district attorney Harvey need to figure out whether this guy could be an ally. And for the mysterious new local terrorist known as The Riddler, the question “Who is Batman” is a great mystery to be solved. The characters and their mysterious motives bounce off of each other throughout Johns’ carefully constructed narrative in clever ways that often conform to what we know about these comic icons through their long runs in DC history. Yet, just as often the writer takes bizarre left turns that will surprise long-time fans. That’s Johns’ greatest achievement in this Batman series so far. He’s taken one of the most familiar superhero narratives in all of comics and found a way to twist it into something that will surprise long-time readers without completely re-inventing the universe. 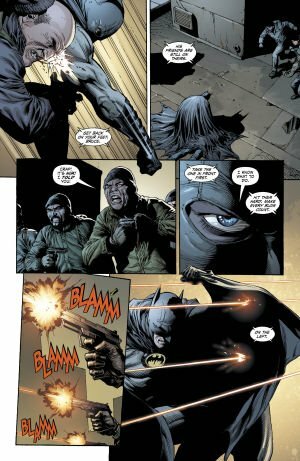 Certainly there are massive changes that will spin heads (Johns’ take on Killer Croc is definitely unlike any to ever come before in a wonderful way), but as this story keeps inching closer to the writer’s long-since-planned final chapter, it’s clear that Johns is actually sticking quite close to the Batman that we all know and love. This isn’t quite an Elseworlds reinterpretation, but it’s not a reboot either. It’s a love-letter to the caped crusader by a writer who is clearly on of Bats’ greatest fans and wants to have a romp in that playground while still giving readers something fresh. There’s a delicate balancing act to what Johns’ trying to accomplish with this series and he’s done so remarkably well. I don’t want to get into specific examples from this book as that would spoil the fun, but rest assured when you finally see why Johns’ included the twin Dents, you’ll realize that he’s got a fascinating new take on Two Face in store for us in the next book that’s completely unlike anything else and I can’t wait to dive in. The single release graphic novel format has also suited Batman: Earth One rather well. The books are structured and layered to feel like feature length movies and are easy to devour in a single satisfying sitting. Johns’ narratives are tight and terse, yet juggle a wealth of plots and characters with ease. The stories have yet to feel truncated. They’ve clearly been designed to be read in long graphic novel chapters and I’d imagine it would be irritating break up these stories into individual issues. Gary Frank’s art is also beautiful and perfectly suited to this movie-ish format. With long deadlines to work with, Frank has created a remarkably detailed and lifelike take on Gotham that can often feel more like a photograph than a drawing in the best possible ways. The mandate for everything in this book is to be as grounded as possible. It’s clearly inspired by Chris Nolan’s take on the mythology, yet infinitely less dour. This is still fun comic book pulp, just one that tries to keep this outlandish world as close to reality as possible. Given the remarkable job that Johns and Frank have done finding that balance so far, I can’t wait to see where the story goes next (and thankfully the next book is being worked on right now, so there won’t be another three year wait). Johns has a very specific arc in mind that will provide similarly reverent yet radical takes on all of Batman’s finest friends and foes. If nothing else, I’m locked in until I see Johns’ take on the Joker and it’s safe to say that he’ll be saving that little nugget until the very end. The guy clearly knows exactly how to weave a story and please long-time fans after all. That would be a hell of a climax for this long form Batman narrative and I find it impossible to imagine that he hasn’t though that through himself. 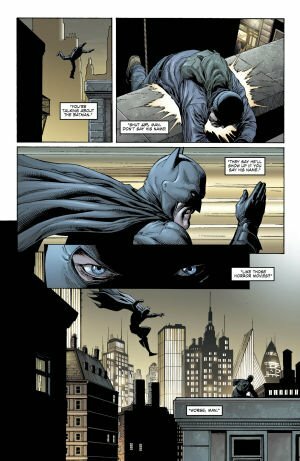 Three years ago, Geoff Johns and Gary Frank debuted their alternative and grounded take on the caped crusader in Batman: Earth One.